Caloundra Quilters are holding their 13th Biennial Quilt Show on Saturday 27th and Sunday 28th July from 9am to 4pm at the Caloundra Arts Centre, 5 North Street, Caloundra (behind Caloundra Woolworths). 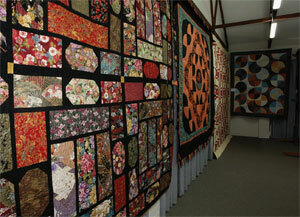 With over 100 members in the group there is sure to be an impressive display of quilts of all designs and different techniques. The theme of this year’s show is “Beside The Sea” and members are responding to the challenge of making a place mat sized quilt in that theme in which 50 per cent of the supplied fabric must be incorporated.